An enchanting tale of travels among South East Asia's Sea Gypsies, scattered groups of semi-nomadic fisher people who occupy the spaces between the islands. An enchanting tale of travels among South East Asia's Sea Gypsies, scattered groups of semi-nomadic fisher people who occupy the spaces between the islands. A glance at the map of South East Asia reveals more blue than green, more sea than land. By separating the islands of the Malay Archipelago the sea has created diversity; by joining them together it has enabled trade and laid them open to influences from China, India and the Middle East. All Malays were sailors once - their ancestors reached the islands by boat - and the sea holds a central place in the Malay experience and imagination. The Sea Gypsies who still occupy this realm seem to live still in the hidden world of Conrad's tales. They form social co-operative groups, each with its own territory, and move between established anchorages within that range, following the changing currents, seasons and fishing opportunities, and are specialists at exploiting the coral reefs. They have an oral tradition which accounts for their origins with myths of floods and tidal waves. Their hunter-gatherer lifestyle and a belief system that is at root a blend of animism, ancestor worship and sympathetic magic are characteristics they share with the early Malay cultures. 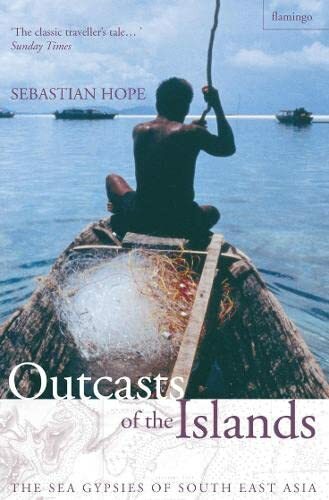 Sebastian Hope travels and lives with groups of Sea Gypsies in both the east and the west of South East Asia, experiencing their subsistence lifestyle, unchanged for centuries. Travelling to fish and fishing to live, like the Sea Gypsies themselves he relies solely on his skills as a sailor and fisherman to survive.